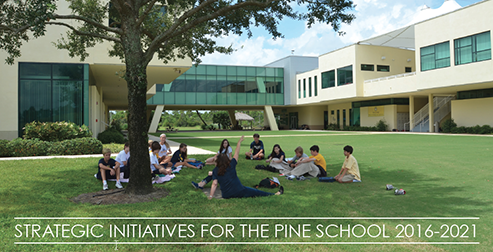 Since its founding in 1969, The Pine School has created and implemented formal Strategic Initiatives to set goals to both guide itself through transitional challenges and capitalize on numerous opportunities. An effective plan is intended to help preserve and advance the critical aspects of the School’s philosophy, mission, superior academic programs, and operations. It is also intended to identify new opportunities for growth that can be catalyzed under its leadership. Ultimately, the strategic initiatives will ensure that students, families, alumni, administration, faculty, and Trustees are aligned behind a common set of goals and expectations.